Five time British Open Champion James Braid playing the The Golf Links, Rye England. Four rare original photographs archivally framed and Matted, UV Glass 20" x 27". 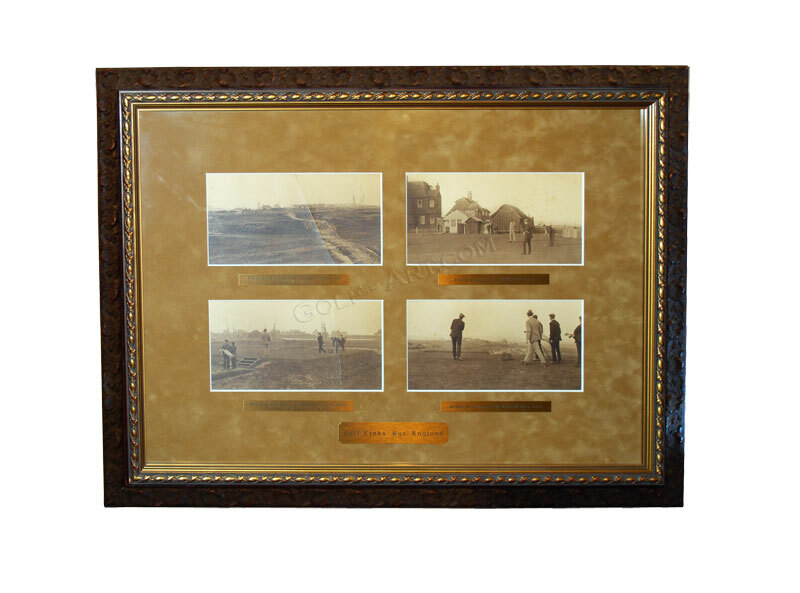 Under each photo is a brass plaque that read: -"View of Rye Harbour from front of clubhouse" -" Braid Putting on the "Billy" green -"Braid at Ice Box - Culhberl Driving from Harbour Tee to 12th Green" -"Braid Driving from Pulpit Tee ( 8th )" An absolute One of a Kind!